The face is frequently one of the first parts of the body to start showing signs of aging. Gravity, stress, sun exposure, and heredity are all common reasons why the face begins to mature. Often, our face can make us look older than we feel on the inside. The facelift procedure aims to correct this discrepancy and restore a younger contour and profile. Read more below to find out why facelifts are one of the most popular cosmetic procedures in the United States and how Dr. Michael Yoo’s facelift technique makes all the difference! 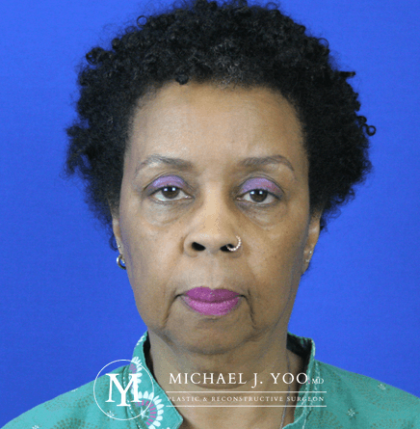 A facelift, also known as a rhytidectomy, is a cosmetic surgical procedure that addresses signs of facial aging, including sagging skin, fine lines, wrinkles, and fat deposits. There are many different facelift techniques; however, Dr. Yoo performs the bilamellar high SMAS facelift. This technique addresses the root of many of the causes of sagging and wrinkles and can take 10-15 years off of the appearance. Plus, it looks incredibly natural. The bilamellar high SMAS facelift procedure uses small, hidden incisions around the hairline. Then, fat and tissue that has started to droop, creating a tired and older aesthetic, are repositioned. This also helps restore natural volume to the face. Finally, the skin is redraped and excess skin is removed. It rejuvenates one’s look for a natural appeal and offers results that reduce aging characteristics with long lasting results. Plus, it can be combined with a number of other procedures for a full revitalization of almost every aspect of the face. Perhaps the biggest appeal of facelifts is that they offer long-lasting, noticeable results that reduce inevitable signs of aging. Dermal fillers are non-surgical injectables that can be used to decrease the appearance of fine lines, wrinkles and creases on the face. They can also be used to add volume to the cheeks and lips for enhanced contour. However, they cannot be used to decrease excess skin and the results will be subtler than the effects of a facelift. Furthermore, dermal fillers are temporary and will require yearly injections in order to maintain results; a facelift can provide results for about 10 years. Dermal fillers may be a good treatment to consider for patients who only require minimal assistance to enhance the appearance of their face, do not want to undergo an invasive surgery, or cannot take downtime or be away from their responsibilities and routines. In some cases, Dr. Yoo may recommend dermal fillers after a facelift in order to maximize results and promote long-term anti-aging effects. 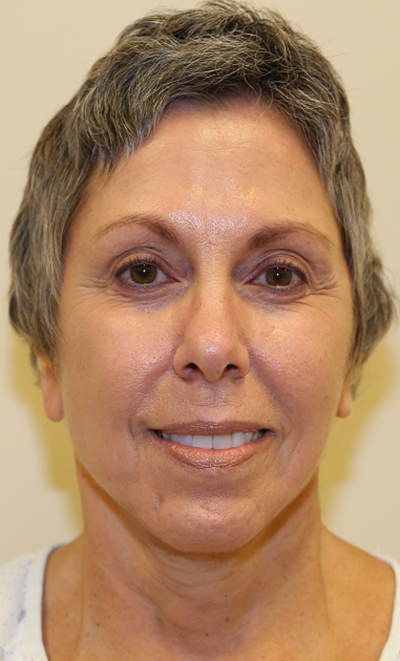 At our Orange County location we perform the bilamellar high SMAS facelift, an advanced rhytidectomy technique. It focuses on addressing the SMAS, or Superficial Musculoaponeurotic System, layer, which is located below the first layer of skin. Through discreet incisions made along the hairline and around the ears, Dr. Yoo will reposition fat and tissues in the SMAS layer. By artfully and skillfully rearranging this layer, Dr. Yoo is able to create a more youthful contour in the cheeks, chin, and jawline. 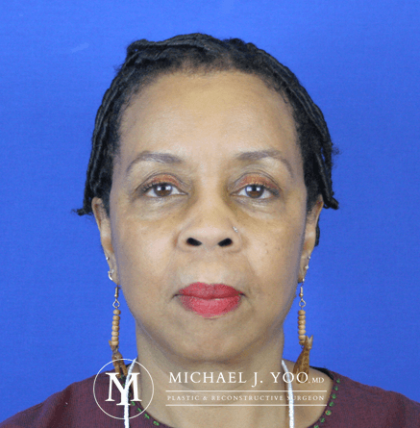 Dr. Yoo’s ultimate goal in performing a facelift is to attain the results desired by the patient while maintaining a natural aesthetic that isn’t overdone. He wants patients to look like they’ve just gotten an incredible night’s rest, not as if they’ve had cosmetic surgery. For the first 24 hours following a facelift procedure, patients will be provided with heavy dressing and bandages to protect the treated area and aid in healing. Patients may also be equipped with drainage tubes for fluids. These can be removed at the prescribed time, depending on the extent of the procedure. Patients should expect a minimal amount of bruising and swelling for the first week, which will dissipate quickly on its own. Pain and discomfort can be managed with prescription medication provided by Dr. Yoo. After a few days, over-the-counter medication will be sufficient. Sutures will either dissolve or can be removed in seven to ten days. In one to two weeks, patients can begin participating in leisurely activities and can return to work. At the time of the consultation, Dr. Michael Yoo and his experienced staff will provide detailed instructions on preparing for and recovering from the surgery. A neck lift will enhance the contour and appearance of the neck and jowls, which can begin to sag with age. The neck lift procedure works by creating a discreet S-shaped incision near the ear to access and reposition and tighten muscles. A neck lift procedure is commonly added to a facelift in order to achieve the optimal desired results. Often, a neck lift will also require liposuction to remove excess fat. Then, excess skin is removed and the incisions are closed with sutures. The result is a smoother neck that dramatically cuts years off one’s appearance. An eyelid lift, also called blepharoplasty, focuses on removing and tightening the skin around the upper and lower eyelids. In upper eyelid surgery, a practically imperceptible incision is made along the upper crease of the eyelid. Then, excess skin and fat pockets are removed and the incision is closed, creating alert, vibrant results. Lower eyelid surgery also removes excess skin and fat that gathers along the lower eyelid, creating the appearance of “bags” beneath the eyes. The incision for this procedure can be made in one of two locations: beneath the lower lash line or through the inside of the eyelid. The best location is determined by the individual patient’s case. For brighter, less tired looking eyes, please ask Dr. Yoo about eyelid surgery at the time of the consultation. A fat transfer, also called fat grafting, is an excellent complementary procedure for patients with volume loss that gives their face a sunken or gaunt look. 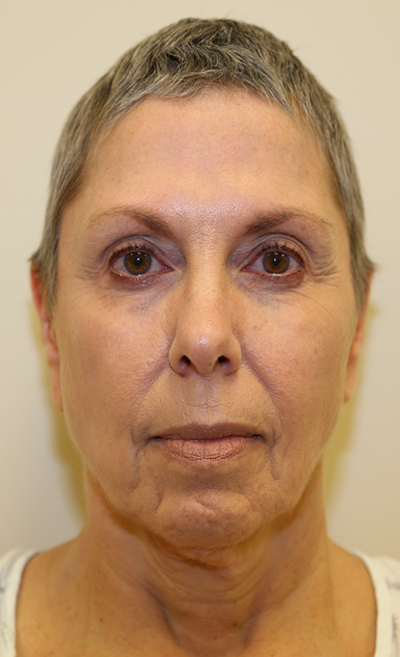 Fat transfers are typically utilized where features appear hollowed-out, such as in the cheeks and temples, or where deep lines and creases cannot be corrected by a lift alone, such as in nasolabial folds or marionette lines. It can also be used as a technique to augment the lips. A benefit of fat grafting is that since the material is sourced from one’s own body, there is no chance of an adverse or allergic reaction. The first step in a fat transfer procedure is to choose a donor location from which to harvest the fat. This is typically in an area where there is excess fat, including the abdomen, flanks, back, buttocks, hips, or thighs. Using a cannula inserted through a small incision, the fat is liposuctioned out of the body. Then, the fat is purified to remove undesirable matter and reinjected back into the face in the areas to be augmented. By combining a fat transfer with a facelift, the patient will see more extensive results with a more youthful contour. Facial fat transfer recovery is comparable to a facelift, with the exception that a bandage will also need to be worn on the incision from the donor location. Dr. Yoo has studied with premier facial plastic surgeons from San Francisco to Miami. He is a double board certified plastic surgeon with extensive experience in facelift techniques and facial anatomy. During the consultation, Dr. Yoo will ask the patient about their areas of concern and what results they hope to achieve from a facelift or complementary procedure. Depending on the patient’s goals, Dr. Yoo will conduct a full examination in order to determine whether or not they would be benefit from a facelift procedure. He will also recommend the best treatment or combination or treatments to maximize results. Once a procedure has been identified, Dr. Yoo and his highly trained staff will work to develop a comprehensive treatment plan. They will also provide details on how to prepare for the procedure and what to expect during and after the operation. This will include important details such as medications and supplements to avoid prior to the appointment and how much time to take off from work in order to recuperate. At this time, we will also be able to provide the most accurate price estimate for your procedure. A facelift is a customized procedure, which means that there are a number of factors that can influence the actual cost. Some of these factors include the facial areas of interest, complementary procedures, anesthesia, and surgeon’s fees. These can all be discussed in depth at the time of the consultation. We pride ourselves on the welcoming and knowledgeable nature of our Irvine staff and facilities. Please feel free to ask any questions about your treatment or other procedures that are of interest. Please call us or request a consultation online today to get started. Copyright © 2019 Michael Yoo, MD. All Rights Reserved.